ASTM B729 seamless Alloy 20 pipes(UNS N08020), 12″ STD PE. *All pipes or tubes shall be furnished in stabilize-annealed condition. 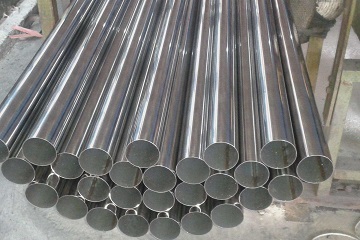 ASTM B464 Alloy 20 welded pipes, 3″ SCH40, polished finish. The chemical & mechanical requirements of Alloy 20 (UNS N08020) is the same as those of Alloy 20 flanges & Alloy 20 fittings. For ASTM B729 Alloy 20 seamless pipes & tubes: 1/2″~16″, SCH10~SCH160. 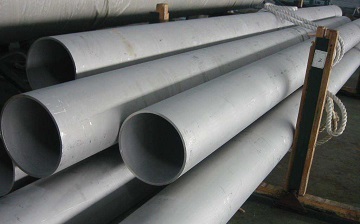 For ASTM B464 Alloy 20 welded pipes: 1/2″~6″, SCH 5S, SCH 10S, SCH 40S, SCH 80S (custom-design welded pipes up to 30″). For ASTM B468 Alloy 20 welded tubes: 1/2″~5″, wall thickness range: 0.38~12.7 mm. The pipe or tube can be furnished in either single random length(SRL), double random length(DRL), or specific cut length.